The discipline that deals with the health of the periodontium, the set of osteo-mucosal-connective tissues that maintains the stability of the tooth. The discipline that deals with the health of the periodontium, the set of osteo-mucosal-connective tissues that maintains the stability of the tooth. 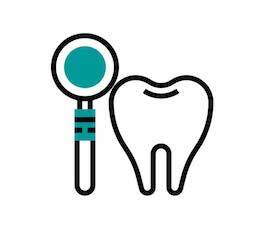 A genetic predisposition and poor oral hygiene can cause the instability of this tissue and of the tooth itself. Periodontology (also known as pyorrhea) is also often caused by diseases such as diabetes, which consume and degenerate the periodontium. To avoid trauma to the periodontium, the gnathologist and the periodontist intervene, arranging the masticatory surfaces and surgically restoring the structure of the periodontium. This is a rather serious and degenerative disease, whereby early diagnosis and rapid intervention play an irreplaceable role in the treatment or even in the prevention of adverse effects. We start treatment from oral hygiene and its maintenance through techniques designed specifically for the specific case of the patient, to continue with root planing sessions or scaling for the removal of subgingival tartar. In milder cases, these preliminary interventions stop the course of the disease. If the patient presents an advanced stage of the problem, treatment should be continued with specialized surgical interventions tailored to the specific individual case. Today’s techniques minimize the need to remove completely teeth that have been compromised by the disease, and where this would not be possible, it would be necessary to integrate the extracted teeth by means of implantology.